Equipment: satellite TV; DVD, CD player, radio; internet access Wi-Fi (included); gas central heating. Furnishing: good, bright, pleasing, tiled floor, laminate floor. Please note: Non-smoking house. The owner does not accept any youth groups. 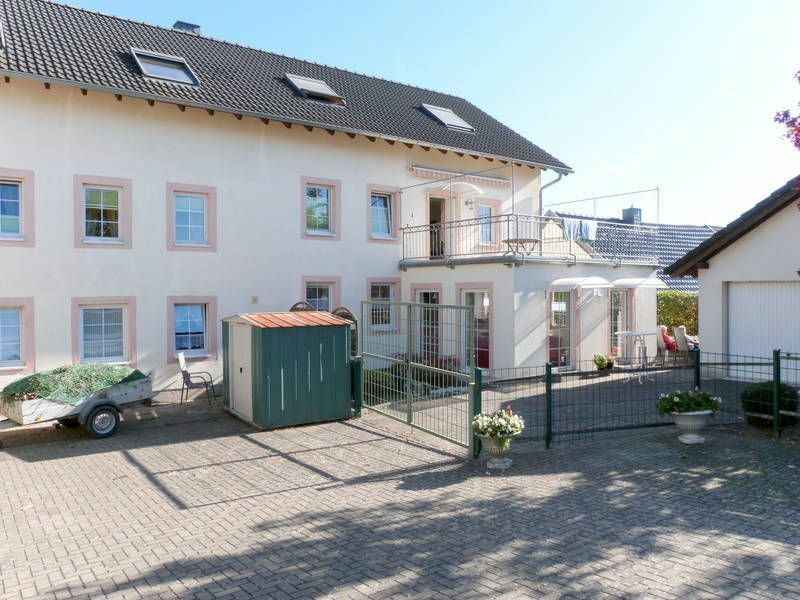 detached house, 14 - 20 people, 9 room/s, 7 bedroom/s, 6 bathroom/s, approx. 360 m², 3 floor/s, renovated 2014. Bedroom 1: (floor 1): double bed. Additional information: direct access to sanitary no 3. Bedroom 2: (floor 1): double bed. Bedroom 4: (attic, roof pitch): 4 x single bed, seating accommodation. Bedroom 5: (attic, roof pitch): double bed, 1 x single bed. Bedroom 6: (attic, roof pitch): double bed, 1 x single bed. Bedroom 7: (attic, roof pitch): double bed. Dining area 2: in the living room, (floor 1). Important information: When booking at the price for an occupancy of 12 persons not available: 3 bedrooms., When booking at the price for an occupancy of 14 persons not available: 2 bedrooms. Kitchen 2: Kitchen/ cooking equipment: 4 ceramic hobs, oven, microwave oven, dish-washer, refrigerator, coffee machine, water boiler, toaster. open to the living room (floor 1). Little kitchen: Kitchen/ cooking equipment: 4 electric plates, oven, microwave oven, dish-washer, refrigerator, freezer, coffee machine, water boiler, toaster. separate (ground floor). Living room/bed room 2: (floor 1): furniture suite, 2 x single bed it is allowed to put together the beds, exit to balcony. Sanitary 1: (ground floor): separate WC. Sanitary 3: (access from one bedroom only): bath, shower, WC. Sanitary 4: (floor 1): bath, bath tub, WC. Sanitary 5: (floor 1): shower, WC. Sanitary 6: (attic): shower, WC. Sanitary 7: (attic): shower, WC. Sanitary 8: (attic): shower, WC. Estate: (shared use with the owner): (whole estate 300 m²) , closed plot (fence, entrance gate), flat. On the estate cats. Outdoor facilities: (private use): terrace, balcony (sun-blind), furnishing provided, 4 deck chairs, sunshade. Beach/waters: Lake in approx. 7 km (Pulvermaar). Nearest neighbour: Nearest neighbour in approx. 15 m (Besitzer). Next village/town: Center Oberöfflingen in approx. 100 m. Manderscheidt in approx. 11 km. Wittlich in approx. 17 km. Public swimming pool: Indoor public swimming pool in approx. 15 km (Wittlich). Public outdoor swimming pool in approx. 11 km (Manderscheidt). Shopping: Next shopping possibility (Hasborn) in approx. 3 km. The house was cold & humid. The proprietess told us to keep everything closed, so the warmth would stay in the house. First night the heating switched off automatically from 24.00 and 06.00 hrs. Fortunately the owner agreed to change the timer. Still it took a few days before the house was warmed up in the livingarea. For such a big house (up to 18 persons) the kitchen is very small & not equipped to cook for big groups. Luckily it was very cold outside so we could keep drinks & food stored outside. Upon leave, after 5 nights, the owners blamed us for the fact that there was a lot of mold. Saying that we did not air enough the rooms. For that reason we did not get our deposit back completely. The proprietess is not really friendly. It was obvious she had previous bad experiences with guests and already 'condemned' us from day 1.